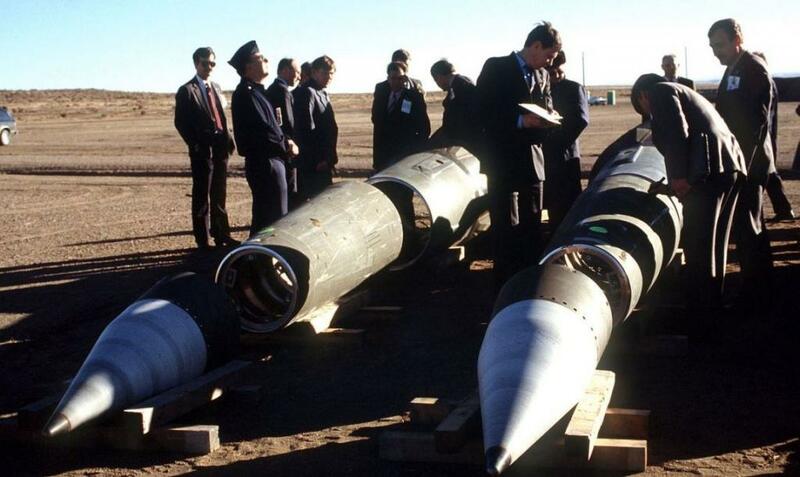 It has taken the US military/security complex 31 years to get rid of President Reagan’s last nuclear disarmament achievement—the INF Treaty that President Reagan and Soviet President Gorbachev achieved in 1987. The Intermediate Range Nuclear Forces Treaty was ratified by the US Senate on May 27, 1988 and became effective a few days later on June 1. Behind the scenes, I had some role in this, and as I remember what the treaty achieved was to make Europe safe from nuclear attack by Soviet short and intermediate range missiles, and to make the Soviet Union safe from US attack from short and intermediate range US nuclear missiles in Europe. By restricting nuclear weapons to ICBMs, which allowed some warning time, thus guaranteeing retaliation and non-use of nucular weapons, the INF Treaty was regarded as reducing the risk of an American first-strike on Russia and a Russian first-strike on Europe, strikes that could be delivered by low-flying cruise missiles with next to zero warning time. When President Reagan appointed me to a secret Presidential committee with subpoena power over the CIA, he told the members of the secret committee that his aim was to bring the Cold War to an end, with the result that, in his words, “those God-awful nuclear weapons would be dismantled.” President Reagan, unlike the crazed neoconservatives, who he fired and prosecuted, saw no point in nuclear war that would destroy all life on earth. The INF Treaty was the beginning, in Reagan’s mind, of the elimination of nuclear weapons from military arsenals. The INF Treaty was chosen as the first start because it did not substantially threaten the budget of the US military/security complex, and actually increased the security of the Soviet military. In other words, it was something that Reagan and Gorbachev could get past their own military establishments. Reagan hoped that as trust built, more nuclear disarmament would proceed. Now that President Reagan’s remaining achievement has been destroyed, what are the consequences of the Trump administration’s concession to the profits of the US military/security complex? There are many, none good. The massive US military/security complex profits will increase as more increasingly scarce American resources flow into the production of intermediate range missiles in order to counter “the Russian threat.” The Republicans will want to pay for this by cutting Social Security and Medicare. I am unsure that the Democrats would be any different. The Zionist neoconservatives now have their hope rekindled of re-establishing American and Israeli hegemony with an undetected first strike nuclear cruise missile attack on Russia. More pressure will be on Putin’s government from Alexei Kudrin, the Jewish Lobby, and the billionaire oligarchs put in place by Washington and Israel during the Yeltsin years when Russia was degraded to an American vassal state. These Russian traitors are so powerful that Putin has to tolerate them. With neoconized Washington doing everything it can possibly do to damage the Russian economy and to draw Russian resources off from economic and infrastructure needs to military spending, Kudrin and the Western-supported elements of the Russian media will, with their demands to accommodate Washington, encourage Washington to put yet more pressure on Russia with the intention of forcing Russia into a vassal status with the Germans, British, French, and the rest of Europe, along with Canada, Australia, and Japan. The Russian government, by its meek response to extraordinary provocations, continues to encourage more provocations, as the provocations cost the US and its vassals nothing. The Russian government’s toleration of traitors, such as Kudrin, does not convince Western peoples that Russia is an open, free speech society. Instead, they believe Kudrin, not Putin. Americans believe that Putin is a thug who stole $50 billion and is one of the world’s richest men. I heard this yesterday from my own cousin. The Western media never paints a correct picture of life in Russia. The only achievement of the Russian government’s non-confrontational response to the West and toleration of treason within its own government is to convince Washington that Putin can be overthrown, just like the pro-Russian president of Ukraine and the presidents of Honduras, Brazil, Argentina. In the 20th century Americans, or that small percentage that is sentient, were influenced by dystopic novels such as Kafka’s The Trial, Orwell’s 1984, and Huxley’s Brave New World. We identified these novels with life in the Soviet Union, and we feared being conquered and subjected to such life. It was a long time before I realized that the “Soviet threat” was a hoax, like Saddam Hussein’s “weapons of mass destruction,” like “Iranian nukes,” like “Assad’s use of chemical weapons,” like . . . you can provide the examples. The vast majority of the peoples in the world have no idea what is happening. They are trying to find or to keep jobs, to provide housing and food, to find the money for a mortgage or car or credit card payment in the US, and in much of the world water to drink and a bit of food to eat. They are stressed out. They have no energy to confront bad news or to figure out what is happening. They are abandoned by governments everywhere. Outside of Russia, China, Iran, Venezuela, where is there a government that represents the people? Even in Russia, China, Iran, Venezuela, and North Korea, are there governments that actually believe in themselves instead of in Western propaganda?